March 26, 2010 Omurbek Tekebaev, one of the opposition leaders in Kyrgyzstan and the Chairman of the Ata-Meken party, met the group of Kazakhstani experts, investigating the murder of prominent Kyrgyz journalist Gennadiy Pavlyuk. During the interview the Kazakh investigators presented the photos of five possible murderers; at one of them Tekebaev identified Aldayar Ismankulov (the officer of State National Security Service). Gennadiy Pavlyuk, the editor of Belyi Parakhod online newspaper and former Chief of Russian Argumenty i fakty and Komsomolskaya Pravda branches in Kyrgyzstan, died in the hospital on December 22, 2009; he was ejected from 6th floor of residential building in Almaty. Under the patronage of the Ata-Meken party Pavlyuk was going to launch new media project – the printed and online edition. The idea of the project was to oppose the current government through legal instruments. Obviously, such opposition media project produced the interest of Kyrgyz security services. Later on Gennadiy Pavlyuk died in Kazakhstan: he was invited by few people to visit Almaty in order to discuss the financing the opposition editions. Two hours after the arrival in Almaty the unknown people ejected him from 6th floor of the residential building. Earlier, the Kazakhstani investigators already interviewed Omurbek Tekebaev in Kyrgyzstan. The previous meetings were attended by Kyrgyz law enforcement officers that filtered the questions, addressed to Tekebaev. 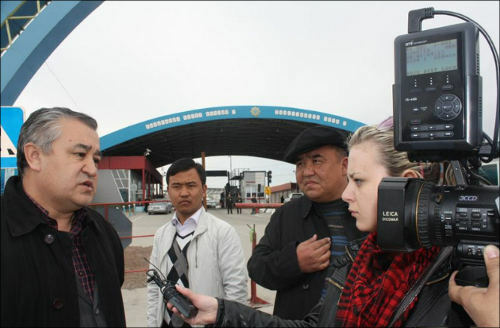 The recent interview was conducted without Kyrgyz security officers. 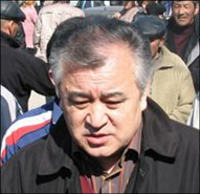 On March 28 Omurbek Tekebaev shared the details with Ferghana.Ru. He informed that Kazakhstani investigators were interest to learn about the position of the Ata-Meken party and its relations with current regime, the assaults of journalists, how the Kyrgyz authorities put pressure on independent media and political activists. Based on the questions of Kazakhstani investigators, Omurbek Tekebaev assumes they believe that assassination of Gennadiy Pavlyuk was politically motivated. It has to be also mentioned that responding to the question about the murder of Pavlyuk on January 14 Adil Akhmetov, the personal representative of OSCE Chairman (Kazakhstan), said it was politically motivated. Earlier, KTK channel reported possible involved of Kyrgyz special services in the murder of Pavlyuk. According to Kazakhstani Vremya newspaper, "some highly ranking secret service officer in Kyrgyzstan, informally positioned as the right hand of Bakiev’s family for security issues" was also involved. Omurbek Tekebaev told Ferghana.Ru he was shown the photos of five people, among which he identified SNSS officer Aldayar Ismankulov, the relative of influential Kyrgyz officials, detained in January of 2006. Tekebaev reminded that Ismankulov was involved in few scandalous criminal stories. "The name of Aldayar Ismankulov is well known. Allegedly, he is the main subordinate of Marat Bakiev, the eldest son of the President and de facto head of National Security Service", notes Edil Baisalov, the Kyrgyz political figure in exile, in his blog. Omurbek Tekebaev informed that some parties (also known by Pavlyuk) were ready to provide $15 million for opposition projects in Kyrgyzstan and proposed to meet in Kazakhstan. Some sources indicate that unique IP addresses (involved in the email correspondence with Pavlyuk) were registered in Kyrgyzstan. On the other hand, according to Gennadiy Benditski, the journalist of Vremya newspaper, the Almaty police found out that few numbers of Kyrgyz security officers were dialed from Pavlyuk’s cell phone; in the night of December 16-17 these officers left Kazakhstan. "I was surprised that Kyrgyz security officers were not aware of such things. We have video cameras everywhere", Benditski additionally informed Ferghana.Ru on March 29. Omurbek Tekebaev also informed that "Pavlyuk’s case" is under personal control of Deputy Interior Minister of Kazakhstan. Meanwhile, Ryspek Bykyn uulu, the press-secretary of Kyrgyz SNSS, informed Azattyk that "Kazakh investigators sent no official inquiry to State National Security Service of Kyrgyzstan about Pavlyuk’s case". The official Bishkek de facto keeps silence about Pavlyuk’s murder. The broad resonance around the murders and prosecution of Kyrgyz journalists and dissidents resulted in the censorship of mass media – the behavior of the government, more common to other authoritarian regimes in post-Soviet Central Asia.